EG, the leading global commercial real estate title, comes to the GCC again to discuss the future of UK and Middle East real estate investment. A variety of keynotes and panels will explore cross-regional investment and trade. Delegates should attend to discuss the opportunities and challenges with leading global experts (including a full UK delegation) and forge invaluable business relationships. 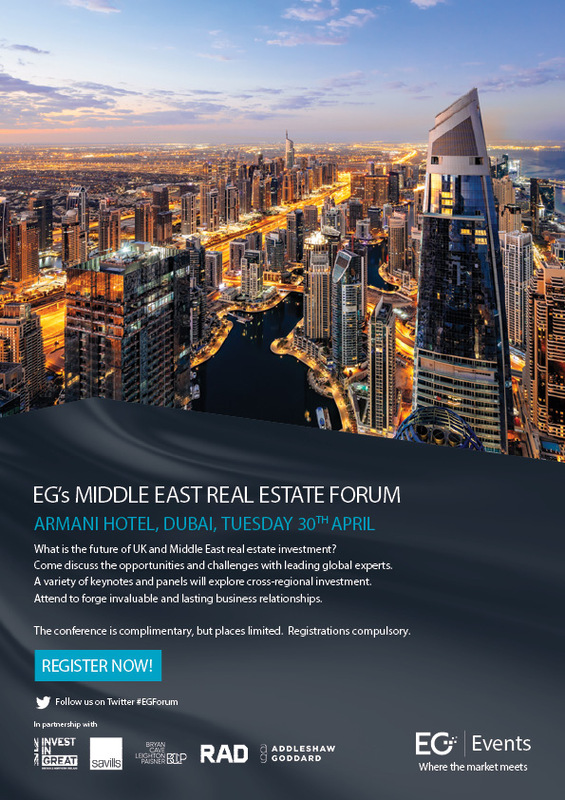 EG is please to invite BBG members and guests to the Middle East Real Estate Forum. The conference is complimentary, but places limited. Registrations are obligatory. To register click here.